Earlier this year, Powering Potential Inc. (PPI) founder Janice Lathen presented me (Lydia Sierra) with a generous offer. She wanted to know if I would be willing to represent PPI at the Segal Family Foundation Conference in Kenya. If I agreed, I would also be able to stop by Tanzania to visit a few of the public schools where Powering Potential has installed SPARC (Solar Powered Access to Raspberry Computing) Labs. I’d never even had a passport, and now I had this amazing opportunity to travel halfway around the world! Of course, I said yes. I’d been working with Janice for a while, and I knew it would be incredible to see firsthand the award-winning SPARC Labs. When I settled in Arusha, I was met by Elibariki Magnus, a soon-to-be college graduate who had attended a PPI administered 5-month training program in 2011 at a school with a SPARC Lab. On a car ride to the first PPI school, we had a chance to talk about how PPI’s programs had affected his life. “I am a product of Powering Potential,” Elibariki said. 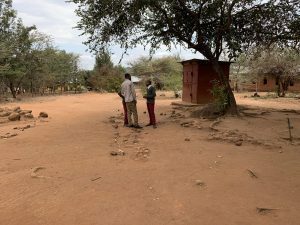 He explained that his brother works for PPI’s Tanzanian sister organization, the Potential Enhancement Foundation (PEF), and said he hoped he would be able to work for them himself someday. “I have found my calling with my love for computers. I would have been a farmer if it had not been for this experience,” he said. He told me that he had been raised in a rural village. Shortly after he was born, his mother had carried him into the fields with her so she could watch him while she worked growing the food that would keep their family alive. When he would cry, she would take a short break to breastfeed him before going back to hoe their plot. I was astonished and touched by his story. He seemed so grateful for the opportunities created by Powering Potential’s work, and I felt truly blessed to have played my small part in it. Over the next three days, we visited the Potential Enhancement Foundation’s office and Welwel and Endallah, two public secondary schools. From the moment I stepped onto the campuses, I was amazed by how smoothly everything operated. Every student was clean, polite, and well-spoken. Their uniforms were spotless, and the classrooms were pristine. And the administration and staff were unanimously warm and welcoming. PEF Community Relations Manager Elitumaini Rweyemamu was one of my guides for these visits. It was slow getting anywhere with Elitumaini because he seemed to recognize every teacher and student and took the time to check in on each one individually. It was a joy spending time with him, and a joy to hear so many students vehemently express their love for computers. The passion created by the SPARC labs is infectious! Help spread this passion by making a tax-deductible donation to Powering Potential this holiday season.